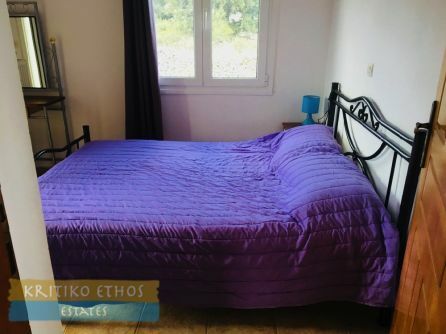 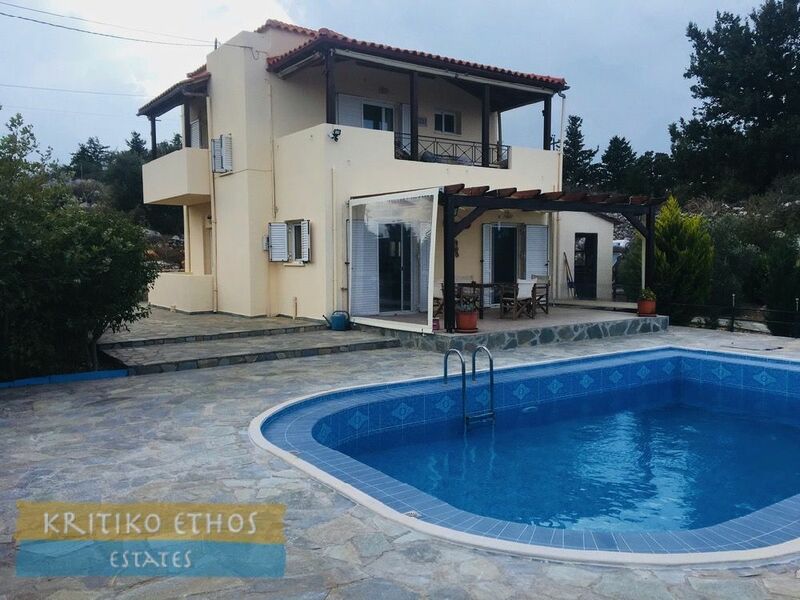 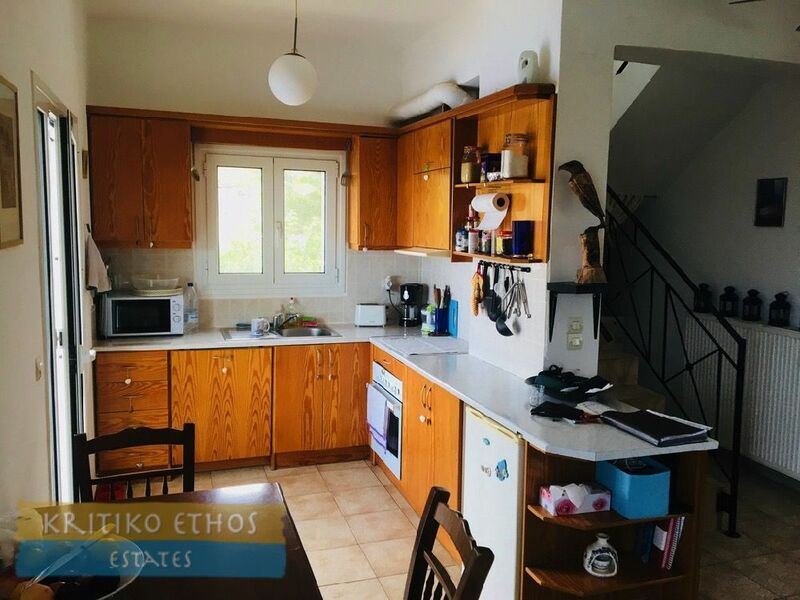 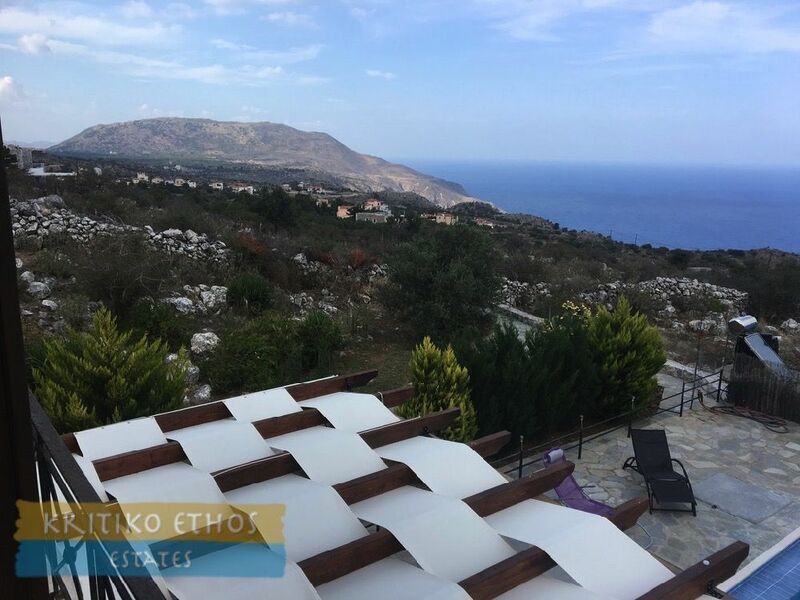 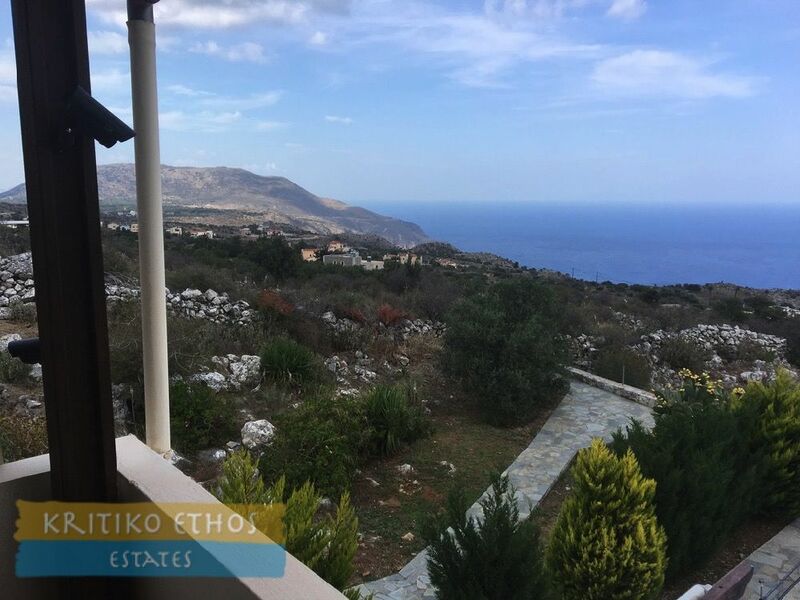 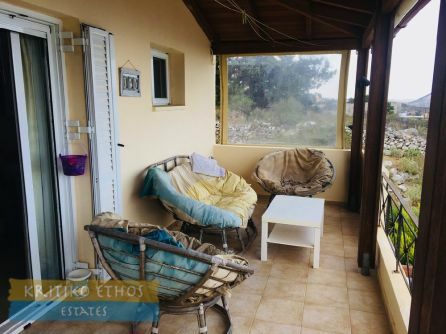 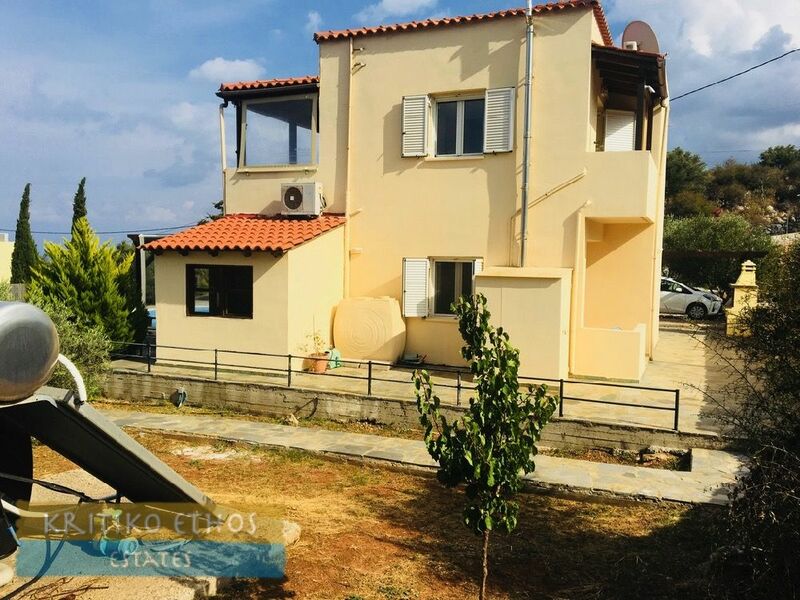 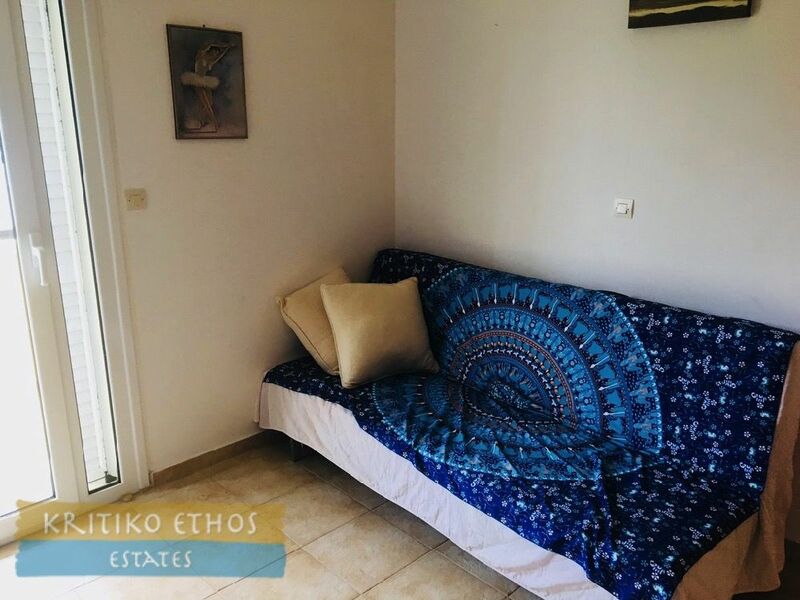 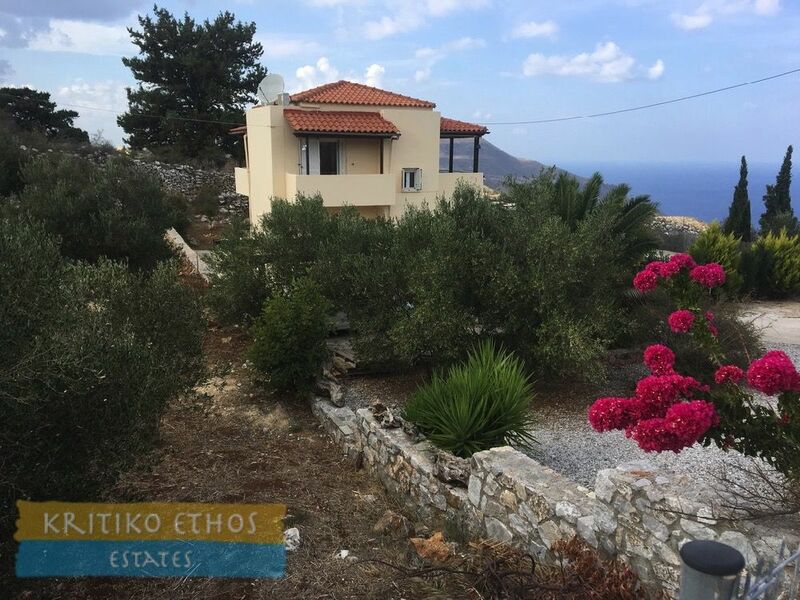 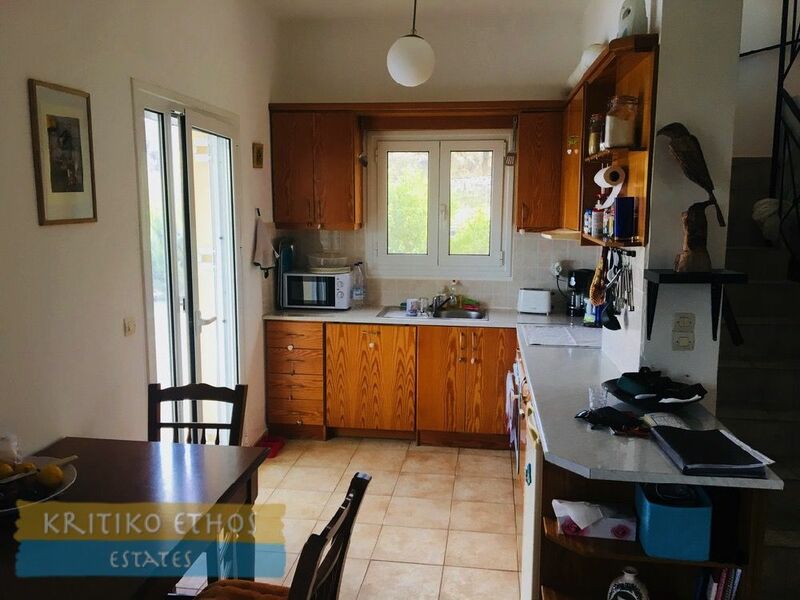 This excellent 96 sqm three-bedroom home with private pool and breathtaking sea views would make a fine holiday home or a perfect permanent residence in Crete. The home also offers superb summer season rental prospects! 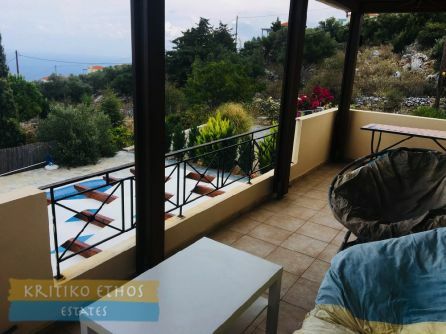 Very private setting yet an easy walk to the village square. 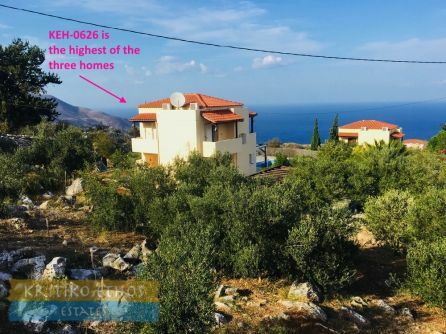 This home is the uppermost of three homes on a sloping plot giving it the best views and the most privacy as well as the easiest access from the main road. 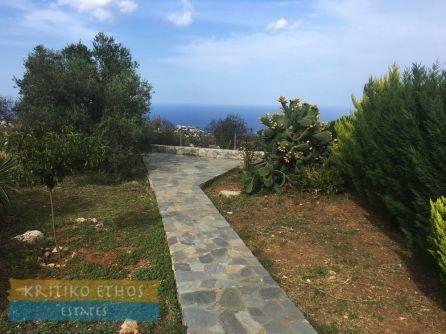 Entry to the home is via a tarmac village lane leading to the access road to the three homes. The gated entry leads directly into the large parking area. 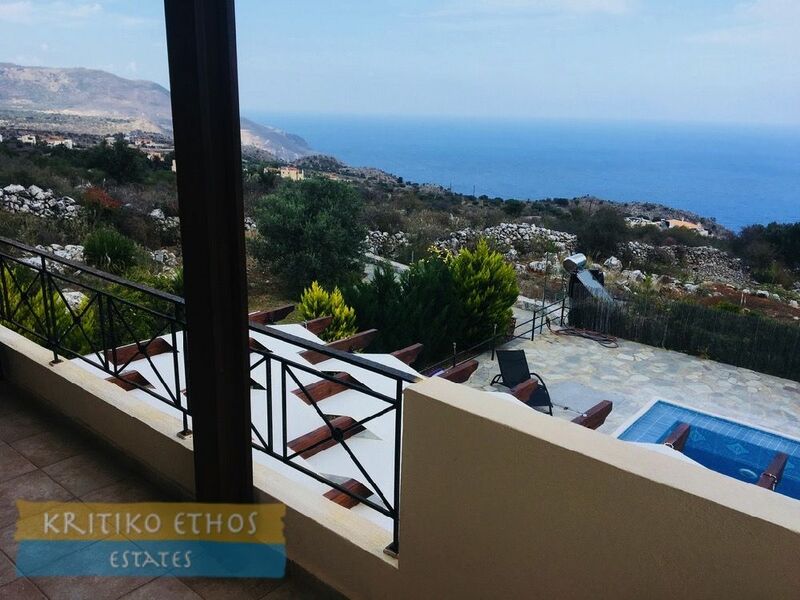 The spectacular sea views, even from the ground level, are there to welcome you! 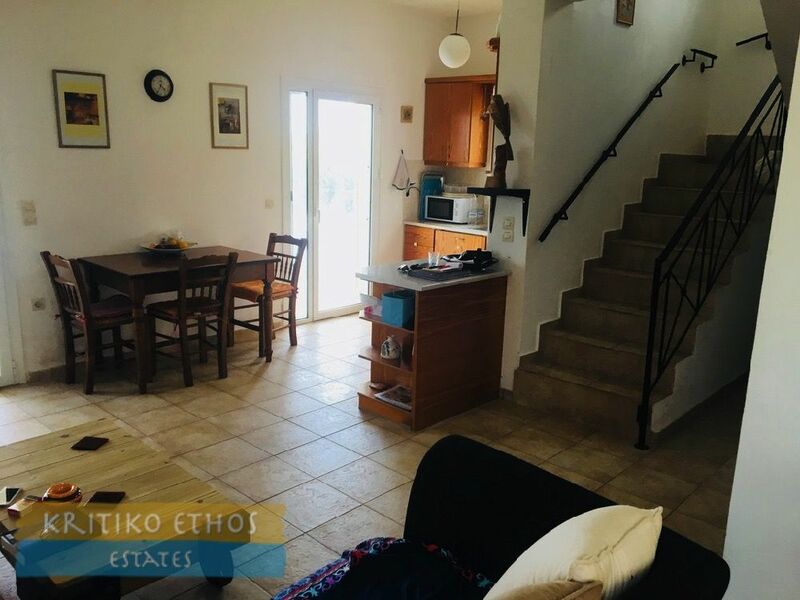 The ground floor comprises a corner kitchen with an open plan living and dining area plus a guest bedroom and a shower room. French doors lead from the sitting area to the pool terrace and a door to the rear leads to a covered rear terrace. The ground floor bedroom has its own private covered terrace with nice sea and countryside views. The clothes washer is situated under the stairs leading to the first floor. 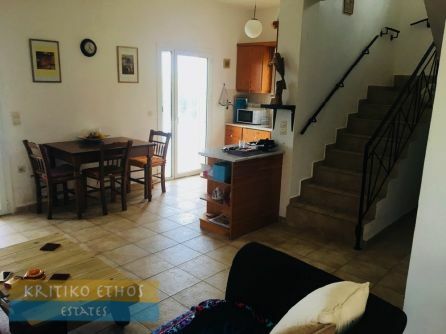 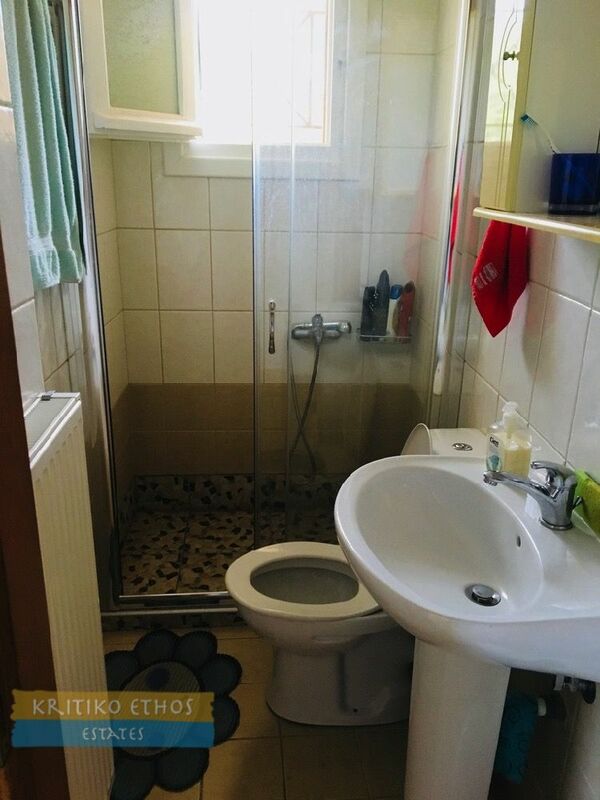 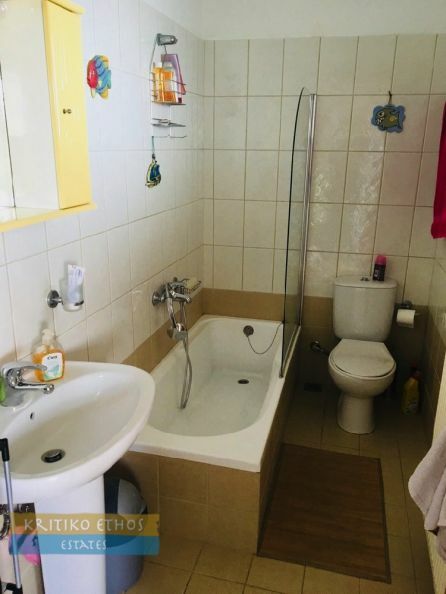 A tiled staircase leads to the first floor with two double bedrooms and a full bath. 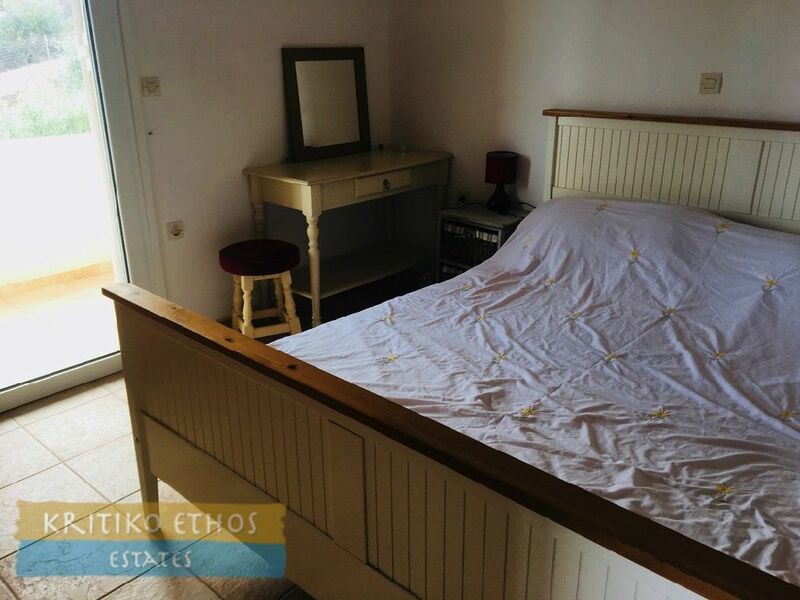 Each bedroom has French doors leading to private covered verandas. French doors from the stairway landing lead to the broad covered front veranda overlooking the pool and offering simply spectacular views to the sea toward Rethymnon as well as the coast toward Ombrosgialos. 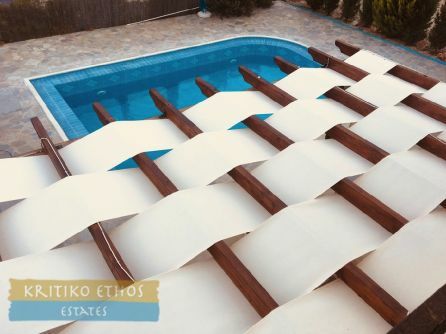 This veranda has been fitted with all-weather blinds allowing enjoyable views year-round! 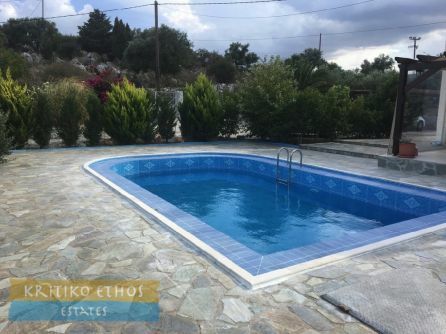 The tiled 36 sqm pool with paved terrace is very inviting and the area has been well landscaped with colourful plants and shrubs plus conifers and evergreens. Some of the large 2,500 sqm plot has been left it its natural rocky state with wildflowers and local plants. 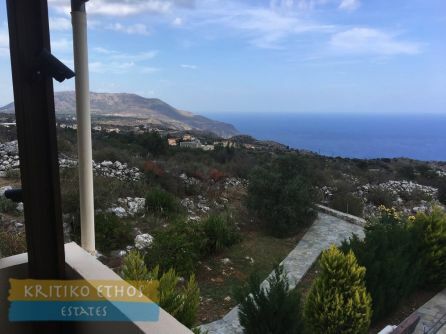 Kefalas is a year-round village with two well-stocked mini-markets and several kafenions and excellent tavernas. 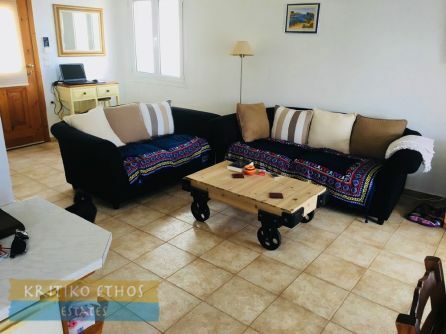 Vamos is just a short drive with its fine amenities and of course the 24-hour health centre.